Fillip Metal Cabinet Co. - DoubleTake Design, Inc. 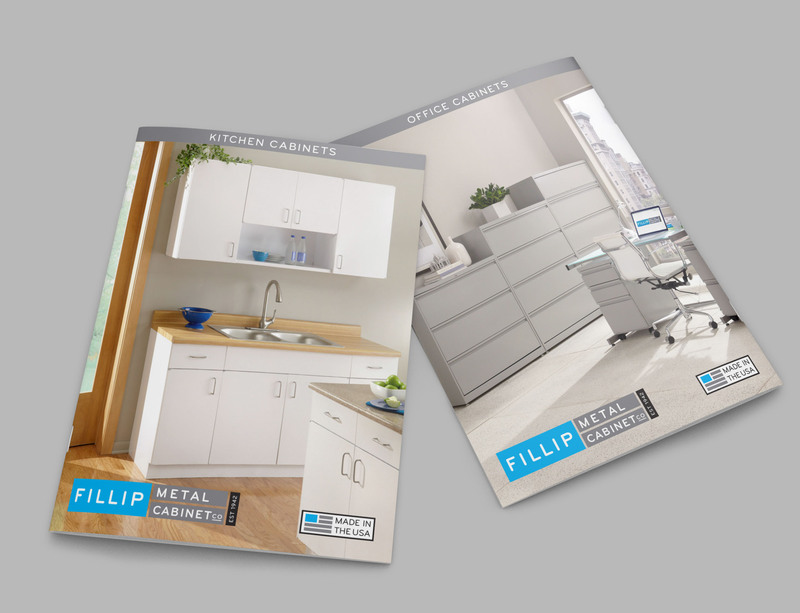 Brand Revitalization | Fillip Metal Cabinet Co.
Family-owned Fillip Metal Cabinet Company has been designing and manufacturing high-quality metal cabinets since 1942. Unfortunately, the company’s brand — including its website and logo — was extremely dated, and did not represent their current products. The website was still featuring products they no longer produced and didn’t show a lot of products they did make. It was not mobile responsive. It was time for a brand revitalization. 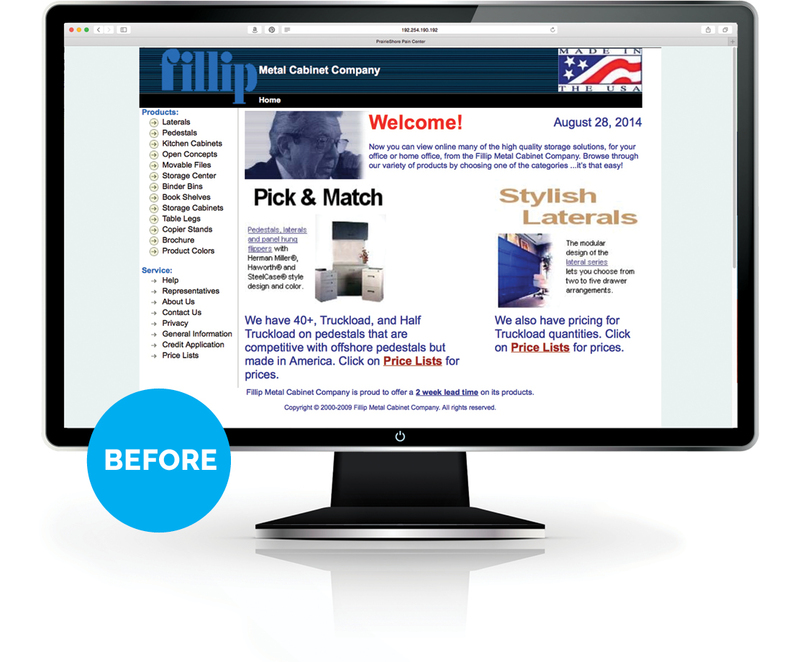 In order to sell products online, it’s important to have good photos, and when we started working with Fillip they had none. In order to be as cost-effective as possible, we decided to shoot photos of each product at their manufacturing facility, as well as detail shots of the finish choices customers could make. Then to put the products into context and represent the two categories of products — kitchen and office metal cabinets — we did a photo shoot at a studio, building custom sets featuring their products in high-end settings. 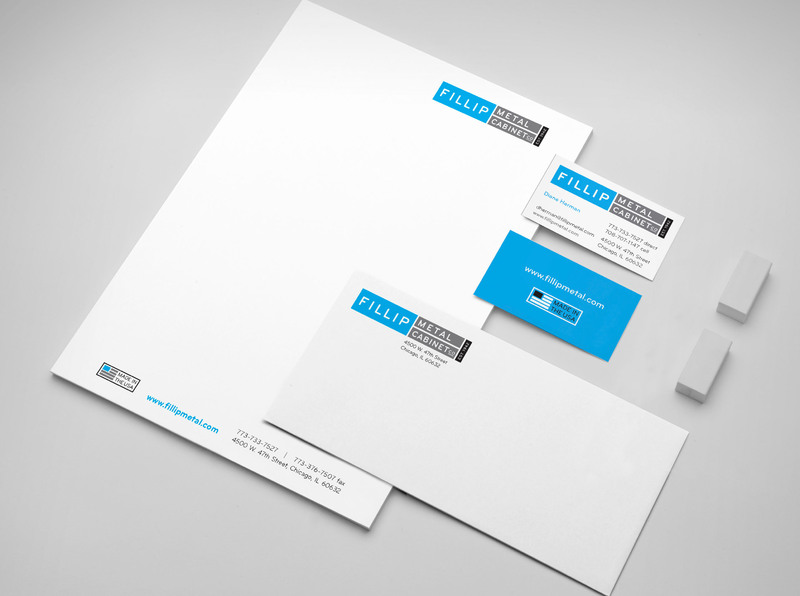 Next, we created a new, modern logo for Fillip, made from modular boxes, just like their furniture. We also updated the “Made in the USA” logo to match, and designed a stationery system. 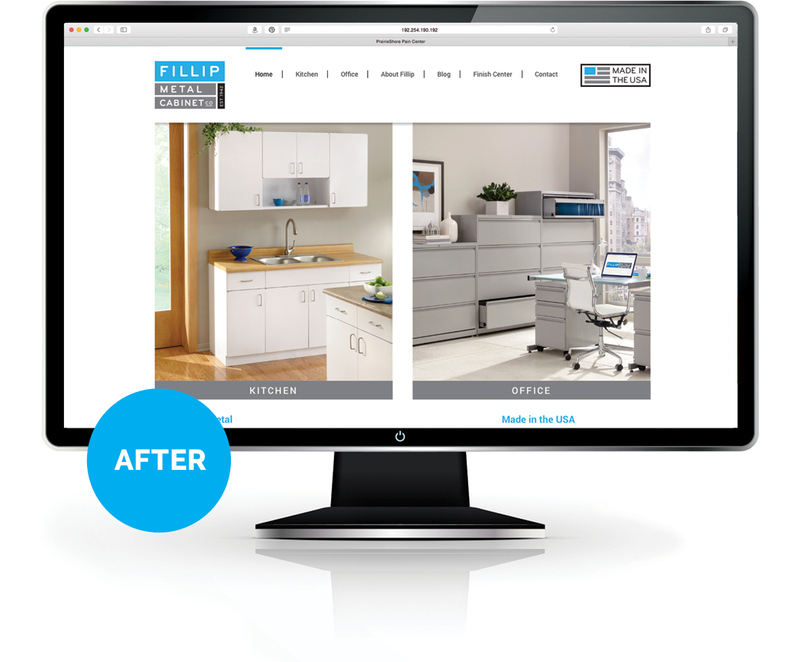 With all the visual components in place, we designed and developed a sleek, mobile-friendly website that allows people to view products in the Kitchen or Office categories, see pricing, finish options and drawings for each item. We also designed upscale catalogs for each of their product categories. 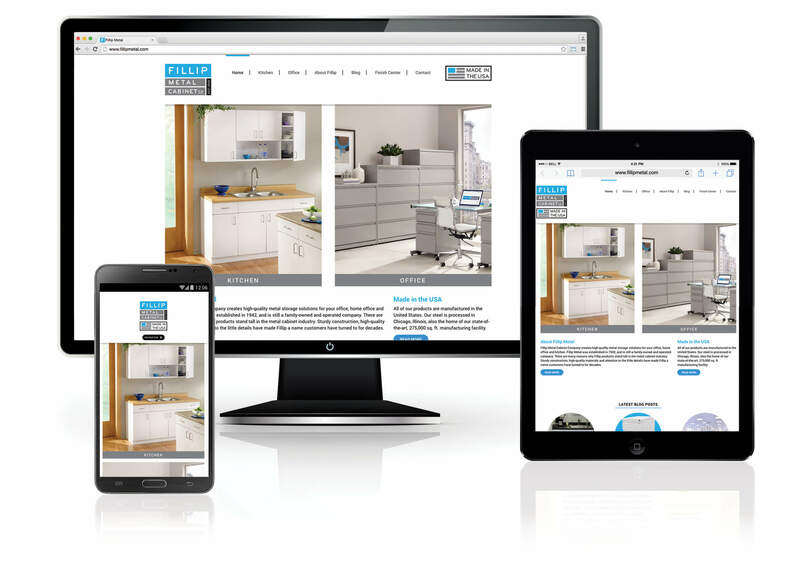 We designed and developed a sleek, mobile-friendly website that allows customers to view products in the Kitchen or Office categories, see pricing, finish options and drawings for each item. Want your brand to better reflect your business? Fillip Metal Cabinet Company creates high-quality metal storage solutions for your office, home office and kitchen. Fillip Metal was established in 1942, and is still a family-owned and operated company. There are many reasons why Fillip products stand tall in the metal cabinet industry. Sturdy construction, high-quality materials and attention to the little details have made Fillip a name customers have turned to for decades.